Many a time, tennis matches have been interrupted due to reasons aplenty; but the latest one perhaps stands out. During the second round match between Radu Albot and Ernests Gulbis at the Open Sud de France, an ATP 250 event in Montpellier, the proceedings were interrupted for a bit as the lights went off. The technical snag happened when Albot was about to serve in the second game of the second set. 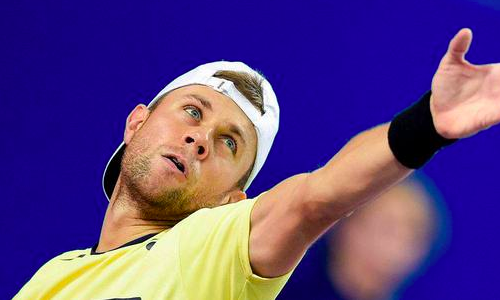 The issue was quickly fixed, and following the resumption, Albot went on to prevail 7-6 4-6 6-4 over Gulbis. The Spaniard, meanwhile, is scheduled to lock horns with former Australian Open runner-up Marcos Baghdatis for a place in the quarter-finals on Friday. Earlier, Baghdatis had upset local favourite Lucas Pouille 7-6 6-7 6-4 in the second round.